Ashley Carter has had the opportunity to perform at venues such as Jacob’s Pillow, SummerStage, Battery Dance Festival, Webster Hall, New York Fashion Week and Carnival Choreographer’s Ball, and has worked with artists Sia, Ricky Martin, NeYo, Lady Sovereign, Nicki Minaj and Justin Timberlake. She has danced with Pilobolus, Balasole, Germaul Barnes/Viewsic Expressions, HannaQ Dance and Ruddur Dance. 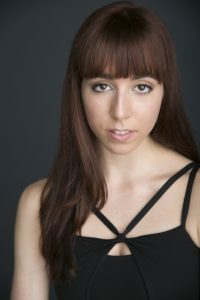 Ashley co-directs contemporary dance company DoubleTake Dance, and is on faculty at Joffrey and Ballet Academy East in NYC. Recently she was featured in the original dance film “Here We Go Again,” and worked on a production of “Peter Pan” for Broadway Asia. Ashley is thrilled to return to her role as Fritz/Rat King/Russia in DIY Nutcracker! Tsubasa Ogawa (Uncle Drosselmeyer/Mother Ginger), or Subie, is originally from Japan. She graduated from The New School, Eugene Lang College. Off-Broadway: Twelfth Night, SAYONARA. Regional: Miss Saigon, The King and I, and Nutcracker Rated R. Her performances can also be seen at various venues in NYC as a member of THE LOVE SHOW. Hiroko Uchino (Reeds; u/s Asia) was born and raised in Fukuoka, Japan. She started training ballet when she was 4 years old. Hiroko moved to New York in 2009 where she continued training and performing various styles of dance. Most recently, Hiroko danced in the off-off Broadway play Northboard. She has toured over 30 cities at iconic theaters across Northern America and Canada, including the Beacon Theatre in New York City, in the National Theatre production Chuggington Live! Great Rescue Live. Additionally, Hiroko performed in the music video “Hello” from the electronic music group Above and Beyond. She was a member of the dance team for the New York Lizards, part of Major League Lacrosse. She was on MTV for top 15 of Ariana Grande Video Contest. She danced for a professional Japanese baseball team for 3 years. 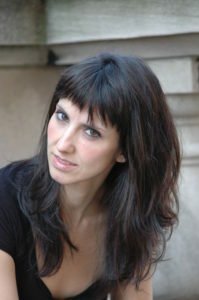 Vanessa Martínez de Baños (Spain/Ensemble) is co-director of DoubleTakeDanceCo.com, featured in Dance Informa Magazine. DTD has recently received several commissions. Currently dancing for DTD and Gwirtzman, she’s been featured on CNN, NBC and TV Globo in Brazil. Other credits include BalaSole, Noir Tribe, RSW, Little Opera Theater, Ryan Beck, Guillém Alonso, Tony Waag, L’OREAL, Heineken, Ameriprise, Yahoo, KDDance, Lush, Fuse TV, X-Box/Kinect (NeYo and Lady Sovereign), and Rachel Ray. Film credits include Friends with Benefits with Justin Timberlake (IMDB 2011). A passionate teacher, she’s faculty at Steps, Joffrey and more. 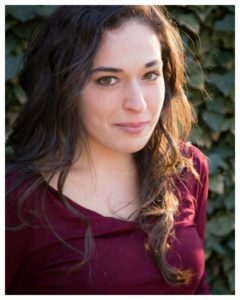 Kelly Vaghenas (Arabia/Ensemble) holds a BFA in Dance from Montclair State University. After performing at Miraggio Spa Resort in Greece last year, she moved to NYC where she continues work as a freelance performing artist. Most recently she was a dancer in the new circus production Unleashed at Six Flags. Other notable credits include modeling for Make Up For Ever and choreographing for the play Northbound which premiered at Theater for the New City. Maria C Byers (England/Ensemble) is so excited to be returning to DIY Nutcracker this year! She graduated with a BFA in drama from NYU. She recently choreographed Oliver!, 13, Spamalot, A Grand Night for Singing, Hairspray, Chitty Chitty Bang Bang, and Curtains! Some other past favorites include: The Producers, Anything Goes, and Oklahoma! Maria is passionate about theater education and teaches at the Riverdale Children’s Theatre and Young Peoples Theater Workshop where she just finished choreograph Bye Bye Birdie, one of her absolute favorites! 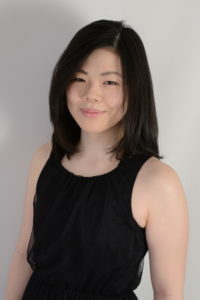 Mikki Shoji (Asia/Ensemble) has trained in various dance styles in Japan and New York City. She danced the works of Fabien Prioville, Kojiro Imada, Ballet Noah, Hiroko Ishikawa, Valentina Kozlova, Margo Shappington, Olga Verterich, Sekou McMiller, Jennifer Archibald, Ashlé Dawson and Phil Orsano. 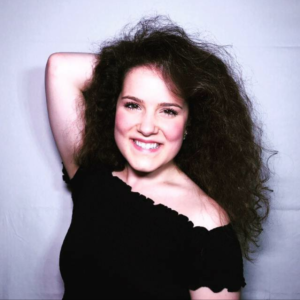 She has had the opportunity to perform at such notable venues as Gelsey Kirkland Arts Theater, Salvatore Capezio Theater, the Kaye Playhouse, Battery Dance Festival and the Global Citizen Festival 2017. 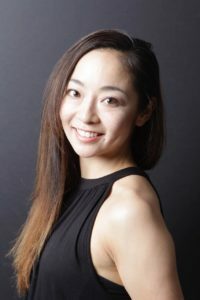 Internationally she performed at Saitama Arts Theater (JPN), Setagaya Public Theater (JPN), NRW International Dance Festival “Fest mit Pina” (DE), Bielefeld Tanzfestival (DE). 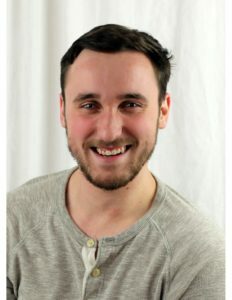 Mikki is currently a member of DoubleTake Dance, Awaken Dance Theater and Matthew Westerby Company.